3: have you tried episodes? It’s fun and you can design/customize your character in the story and make choices!! 4: talk to your librarian ask her about what are some popular stories? 5: try another book series like dork diaries called diary of a wimpy kid it’s great too!!! Those Examples you did for Picture books I read or have already read them. I love Books especially Picture or comic Books. My fave books are Dork Diaries (Of Course ), Babysitters Club ( I’m a babysitter myself but the only person I’ve babysat is my little brother) And Smile or books by the author of smile. I’m so sorry, but I love reading! I’ve been reading since I was two, and can get so caught up in a book that I am not aware of my surroundings. However, I do have friends that dislike reading, and I always try to help them read more. The first step to enjoying reading is picking a good book. If you like fantasy, such as wizards and magic, there are books like “Harry Potter” and “The Land of Stories.” Like Sci – Fi? Try “The Lunar Chronicles” or the “Ruby Red” trilogy. If you are artsy, try books like “Dork Diaries” (obviously!) and graphic novels. Some of my favorite graphic novels are “Smile,” “Sisters,” and “The Babysitters Club.” Pick a book that interests you, and, yes, judging a book by its cover can help. Also, pick a book that isn’t too easy or too challenging, for they can sometimes bore you. The next step is your environment. You want to be comfy and relaxed when you read. I like taking hot baths, and then snuggling on my bed or in a fluffy chair to read. It is best if it is quiet, and your phone/ other electronics are off. You want to focus on the book! And that’s it! The main part of reading is enjoying yourself, and I hope my advice helps you do so! Also, here are some of my favorite books! Note: Not in order! How am I supposed to pick a favorite? I like reading the land of stories! I am on book three right now. I love reading when I’m bored i read books like dork diaries. I am so sad… tomorrow is my last day of school before my spring break! I literally hate coming home, as I miss my crush and friends so much!!!!!! Do you guys have ANY ideas on what to do to make it fun? And it make time pass? Please help!!! Also, my crush is getting bullied. I am so sad! He spent the whole recess about telling me and my friend how (me and my friend talk to him, and we both like him). He even go to bullied before! I hope he doesn’t leave this school!!!! Me and my friend decided to make him a secret admirer letter to him, to make him feel better! At the recess we spent talking to him, this guy in my class was with him (they are friends) and he told me my crush has been through a lot. I see in look at me sometimes also! But, I wonder if he likes my friend (the one that I was playing with at recess, and he told us he’s getting bullied. They go on the same bus). Please post this! Maybe you can visit your friends and crush during spring break if you live close to each other. And you can do something you always wanted to do when you went to school. You can do homework (if you have any), or make yourself one! You can pick out books from the library. Or you can come to this site. Sorry this was less advice. Now, I LOVE to read, and I got top reader in the third grade in third grade. 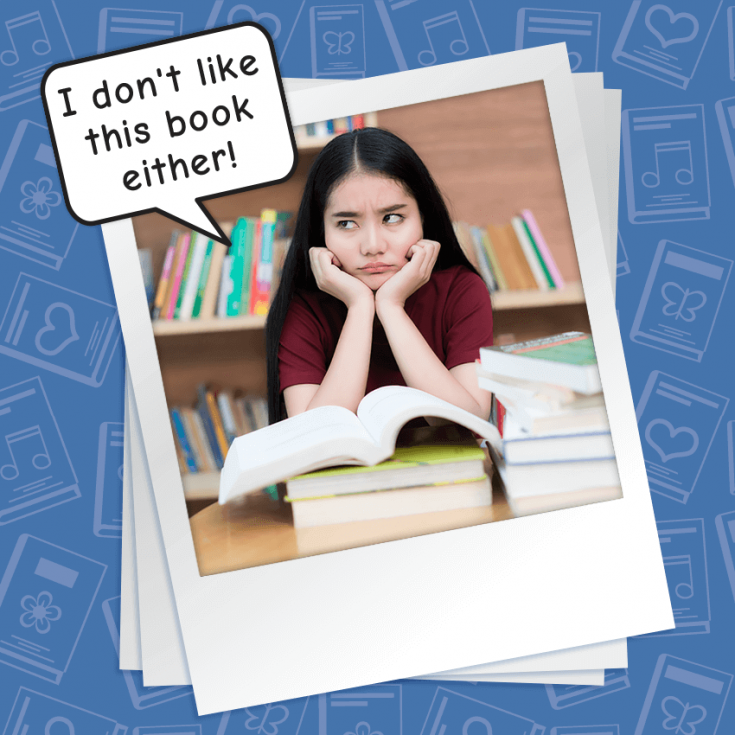 But the thing is: you don’t have to like reading anything (besides Dork Diaries!) But try. Look at all different books. I’m positive that you and everyone else hasn’t read every book ever created. Now, I love SO MUCH MORE than that, but this comment can’t be too long, so bye, good luck! You should read “Finding the edge” by Karen Chen, the world-class figure skater. She explains how to overcome little challenges in life. It’s sooo motivating! WINGS OF FIRE IS THE BEST (besides dork diaries) SO READ IT TODAY!!!!!!!! NOT ADVERTISING! BUT MAYBE I AM! TRY IT NOW!!!!!!!!!!!!!!!! THANK A LOT . I SHOULD WRITE THIS IN MY OWN DIARY ! I, ironically, used to be in a similar situation until I found a book series (besides Dork Diaries, of course) that I’d read on the regular: Lynne Ewing’s ‘Daughters of the Moon’ series. At first, I was somewhat skeptical about the 13 book series (ironically, that’s the exact amount of actually numbered Dork Diary books now that Not-So-Happy Birthday (or whatever it was called) is out. XD), but after reading the first book, ‘Goddess of the Night’, I was immediately hooked on it, especially since I’m a high school student, kinda like the main characters: Vanessa, Catty, Serena, Jimena, and, from book 6 to book either 9 or 12 (I don’t exactly remember which book it is), Tianna. Listen, I was once like this too! Now I love reading! U know why? I started exploring! If u stick to one book FOREVER it will get stale. U seem quirky, try Secret Kingdom! Or if you’re horse-mad like me, you can’t go wrong with Pippa Funnell! I hope my advice was useful! I have many recommended books for avid readers, but these would be great to start out with for you! I would love to recommend more to anyone else! I absolutely LOVE books no matter what book it is… so sorry I have no advice. Then again everybody has their own taste in books. I completely understand if you do not find yourself to enjoy them. I LOVE THE BABYSITTERS CLUB SOOOOOOOOOOOOOOOOOOOOOOOOOOOOOOOOOOOOOOOOO MUCH!!!!!!!!!!!!!!!!!!!!!!!!!!!! Did u know that there r 120 books of the baby sitters club????????????? But honestly I think it comes in a tie between those 2! NO WAY!!!!!!!!! U LIKE THE BABYSITTERS CLUB AS WELL????????? OMG!!!!!!!! Max Crumby! It’s just like Dork Diaries, but it’s about Brandon and Niki’s good friends, Max! I keep on switching from if my crush likes me or not. He stares at me sometimes, and we talk. I hang out with my friend everyday, who likes him too, and they go on the same bus. Problem is, what if he likes her? I am telling her to to tell him she likes him, so if he doesn’t like her back, I can ask who he does (because, they also talk! So, I wonder if my crush was looking at me or her). If he likes her, I would keep on crushing on him, of course, but then what would I do? Then, what if he likes me? Help! Dorky Diamond Diva, Scotch Eggs, Dorky, GrangerGirl28 (I think that’s her name), Gacha Cupcake or Book Reader maybe? Anyone else can help! I changed my name from Book Reader to Dorky Book. (I changed it because someone kept copying my name, and she copied my new one too! Ugrhhh! 🙁 ) Anyways, I always think that friendship is the first step to love. Keep up that friendship. One thing you can do is to be yourself. You don’t want him to like what you pretend to be. And if you and him spend more time together, he would become to like you. If he likes you, it’s great for you. First off I love your name and secondly I’d love to help!! I totally understand what it’s like. I have never been so obsessed over a guy but my crush at the moment is so sweet and I really like him. My friends say he likes me but then I think, why would he? Okay so first off, he stares at you. Definitely a good sign. It means he’s interested in you, what you are doing and who your talking to. Try to talk to other guys and then check if he’s looking at you. If he seems jealous then that is a pretty sure sign he’s into you. He is protective and doesn’t wantyou to talk to other guys!! See who he goes to sit by. When you walk into class, sit down as soon as possible. He might be shy and won’t sit immediately next to you. But if he sits behind you or a few people away from you it shows he wants to be near you. Does he talk to you a lot? Does he go out of his way to ask YOU a question because he cares about your opinion? Does he ask your friends about you? Ask your friendsearch if he does or just ask them if they think he likes you. Go to the one who’s honest with you no matter what, the one who tells you a guy is way out of your league without a bat of an eyelid. They will be the least biased and they’re opinion is probably right!! And maybe he’s using your friend who likes him too to get closer to you. It’s in the Crush Guide 101!! Lol that’s not actually real but everyone knows that to get closer to someone you like you get closer to their friends, start hanging out with them more. So if he doesn’t like you, still crush on him!! But don’t get attached. If he does!! Then woohoo girl!! Well done and hopefully you will have found yourself a wonderfully human being!!! Sure, I’d love to help!! Whoa, that is a tough situation! But I agree with Dorky Book, because friendship is the first step to love! Make sure you keep your friendship, because your relationship could be even better. It’s a good sign that he stares at you. That can mean he likes you! Try to keep a frequency chart in your head of how often he stares at you. If he stares at you all the time, then he probably likes you. Also, try to see if he tries to be around you or talk to you soon lot. Those are also good signs that your crush likes you! I agree with Scotch Eggs, because maybe your crush is talking to your friend to get info about you so he can get closer to you! But if he isn’t, still don’t give up! He can still like you. Remember, we shall always think positive! P.S. I hope you don't leave, Dorky Book! I would really miss you. Thanks, Book Reader, Dorky Diamond Diva and Scotch Eggs! I will be sure to keep your ideas in mind.